The Essential Sarah Lawrence: "Supporting Students Supports Entire Communities"
Nearly 600 Sarah Lawrence graduates work in public service today. 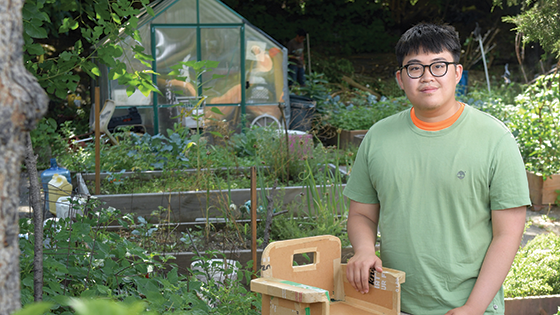 In his fourth year at Sarah Lawrence, Tenn Joe Lim '17 wanted to bring what he learned here to the local Yonkers community. Like many Sarah Lawrence students, his interests were wide-ranging, with a passion for human geography, adaptive design, and education theory. The College's Enviro-Earth Club, which involves neighborhood youth in the Greyston Foundation's community gardens, proved to be the right outlet. There, he empowered children to create materials and objects for visitors to the gardens with special needs.